A West End private school is making an eight-figure investment in the arts. St. Christopher’s School is planning a new $16 million performing arts center that will feature a 450-seat auditorium, and investing $17 million in other construction and endowment projects. To make way for the 30,000-square-foot facility, the all-boys prep school will raze an outdated wing of the middle school on its campus at 711 St. Christopher’s Road, near the intersection of Libbie and Patterson avenues. Head of school Mason Lecky said planning for the facility dates back nearly 20 years, but building other projects including a new dining hall and athletic facility took precedence. He noted that while the other facilities were being built, St. Christopher’s continued to invest in its arts staff and programs, while student participation in those programs has nearly tripled since 2000. 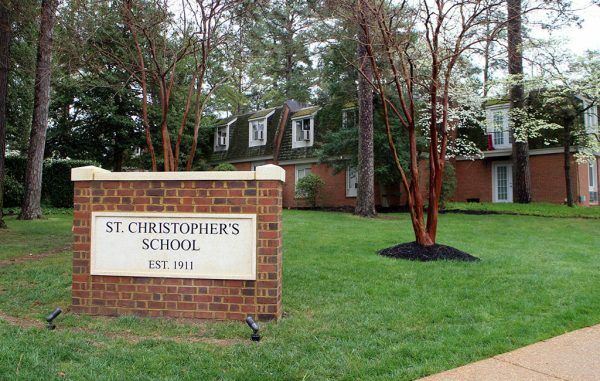 St. Christopher’s plans to break ground on the new facility in June, with an aim of opening for the start of the 2019 school year. Local firm Taylor & Parrish is the general contractor and D.C.-based firm Bowie Gridley Architects is handling the design. 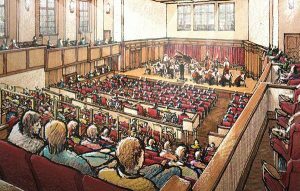 In addition to the auditorium, the new facility will have a visual arts gallery, a recording studio and rehearsal studios. The school launched a fundraising campaign for the project a year ago and has raised about $17 million from various donors, Lecky said. The new building will cost $16 million, and a $3.5 million endowment for the center also will be set aside. Last winter, St. Christopher’s completed realigning the roadway and parking along two blocks of Fergusson Road that go through the school’s campus. Lecky said the school is fundraising to offset those project costs. In total, he said, the building and roadway project will cost $21 million. The school is raising an additional $10 million for the school’s endowment to support things beyond the arts facility, such as its financial aid, faculty support and other programs. St. Christopher’s is a private, all-boys prep school teaching pre-K through high school with enrollment of nearly 1,000 students. Annual tuition ranges from $16,450 to $28,225.